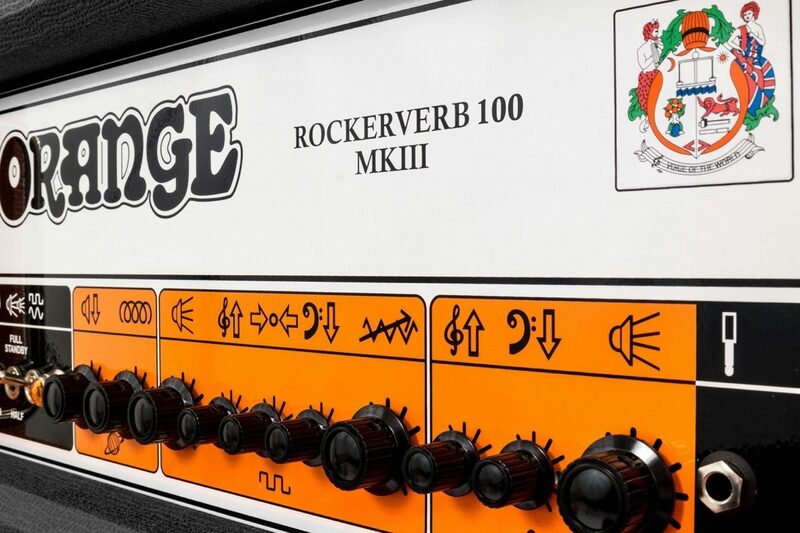 The Rockerverb 100 MKIII head combines over a decade of user feedback with a number of new details and improvements. In a first for the Rockerverb Series, the MKIIIs include selectable output power options to manipulate headroom and volume, with the 100 Watt version switching down to 70, 50 or 30W. The MKIII also features the same footswitchable attenuator that has been so popular with users of Orange's Thunderverb and Dual Dark Series amps. The Clean channel has been revoiced on the new MKIIIs for a more 'chimey' response. The clean side now has even greater headroom than previous models, whilst still retaining the warmth and vintage character of a non-master volume design. Also, the valve driven spring reverb now has a more extensive range with a brighter trail. Add to this a host of other hidden refinements and you have the finest sounding and most feature-laden Rockerverb to date. The original Rockerverb gained a cult following on account of its iconic high gain tones. The MKIIIs of course continue this tradition, but these amps are immensely flexible. The Dirty channel goes anywhere from classic British crunch to the very heaviest modern genres, and always maintains outstanding clarity. The non-master volume Clean channel has been re-engineered to take on a more 'sparkly' and 'crisp' nature but with greater control through a revoiced two band EQ section. The MKIIIs have even greater headroom and volume in full power mode should you need it, but this can now be manipulated with the amp's output power and Attenuator controls. Output stage saturation at 'conversation volumes'. The Attenuator circuit is located after the master volume controls and determines when and how the amp distorts after the preamp stage. This means the overall volume level can be reduced, whilst keeping control over the amp's output clipping characteristics. Unlike a loadbox, Orange's design ensures the all-important relationship between the output transformer and the speaker remains intact, so even at very low volumes the amp remains springy and responsive. Turning the Attenuator control clockwise reduces the overall output level (i.e. increases the attenuation), which can be remotely defeated via a footswitch for a volume boost on either channel for lead lines. Switching the amp's output power allows for more control over the headroom and breakup from the output valves. Reduce the output for greater output valve clipping and saturation at lower volume levels. The Rockerverb 100H MKIII features both a 'half power' mode which drops the plate voltage on the output valves, and a 2 or 4 valve selector switch for a choice of 100, 70, 50 or 30 Watts. Driven by a pair of 12AT7/Ecc81 valves and a custom transformer, the spring reverb circuit in the MKIII has undergone significant upgrades. It is Orange's richest sounding spring reverb design to date, with a more intuitive and usable sweep, ranging from subtle 'air' to full-on surf. 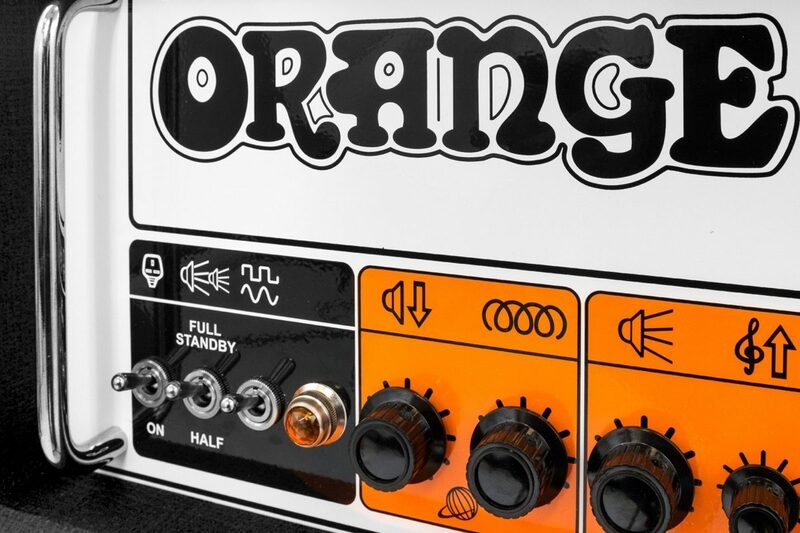 For the purist who loves their pedals, Orange's highly transparent effects loop is buffered by a single 12AT7/Ecc81, ensuring an all-valve signal path from input to output. 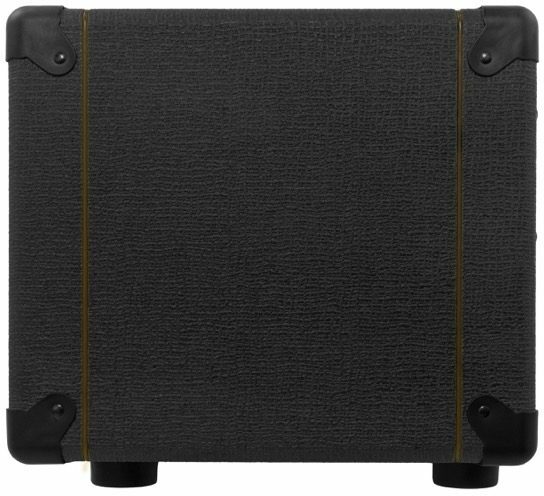 For well over 10 years, the Rockerverb Series has demonstrated that a workhorse amp can be a master of all trades. 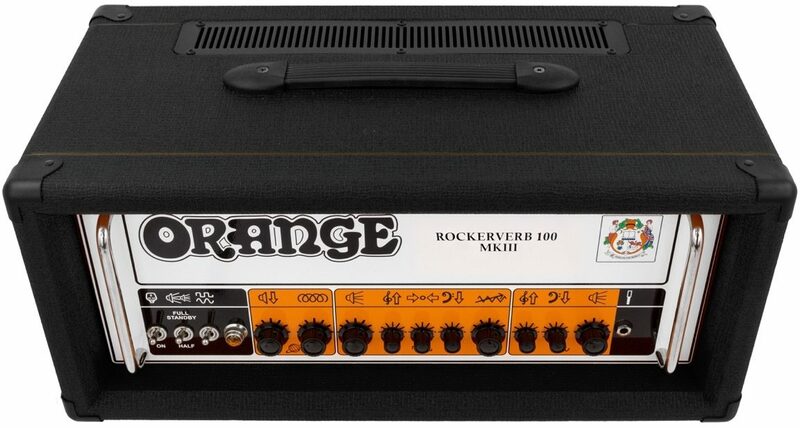 The original Rockerverb was actually Orange's first ever 'high gain' amplifier, with a unique voice that quickly became a firm favorite amongst the heavy crowd. However, its supreme versatility and dependability meant the series has been a mainstay for touring artists and session aces, both on the road and in the studio. Overall: So, I have been a Marshall loyalist for over 20 years until I had 2 Marshall meltdowns. Needless to say I was disappointed. 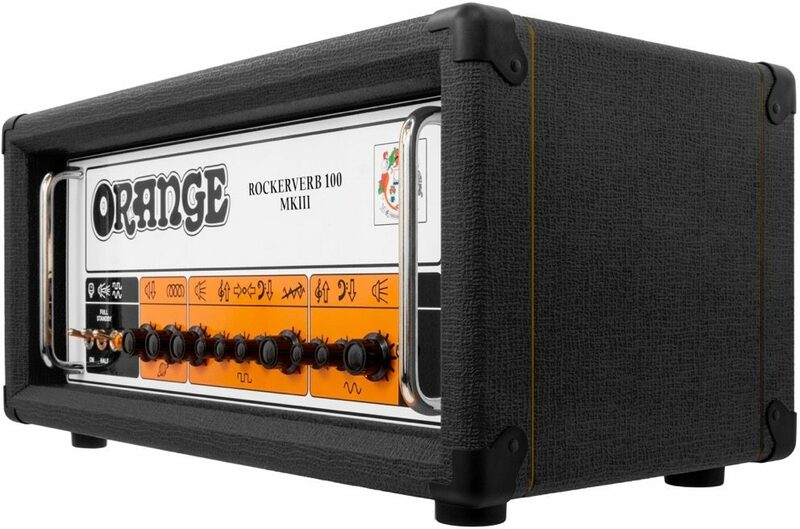 So I decided to take a gamble and try the Rockerverb 100 mkIII knowing that I have time to decide to keep it or not. Plugged this in, plugged in my SG standard, and played through my 1960AV. Instantly this struck me as the amp Marshall has always meant to make. Simply AMAZING. The built in attenuator is a brilliant addition making it possible to get pretty close to a cranked sound at low volume, killer tones. After about a week took it to band practice and SONIC HEAVEN. Cuts through beautifully, so articulate and full sounding. 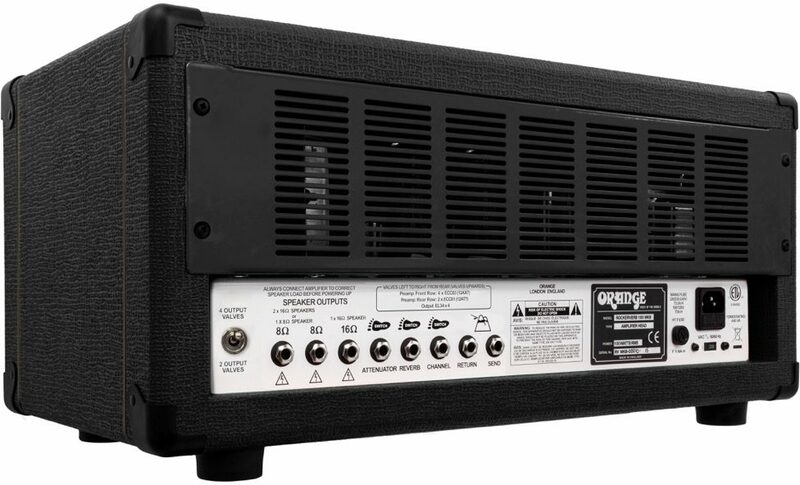 This amp will keep you honest as any sloppiness will be heard. Beautiful sounds come from this thing effortlessly. From easy going southern rock, to great cleans. Or, as my band plays tight and aggressive punk rock (think Bad Religion meets Hot Water Music). This can do it all. Months later I love it even more than I did right off. Not a cheap amp but worth every penny, HANDS DOWN. Style of Music: Everything. Mainly Punk Rock but play any genre.